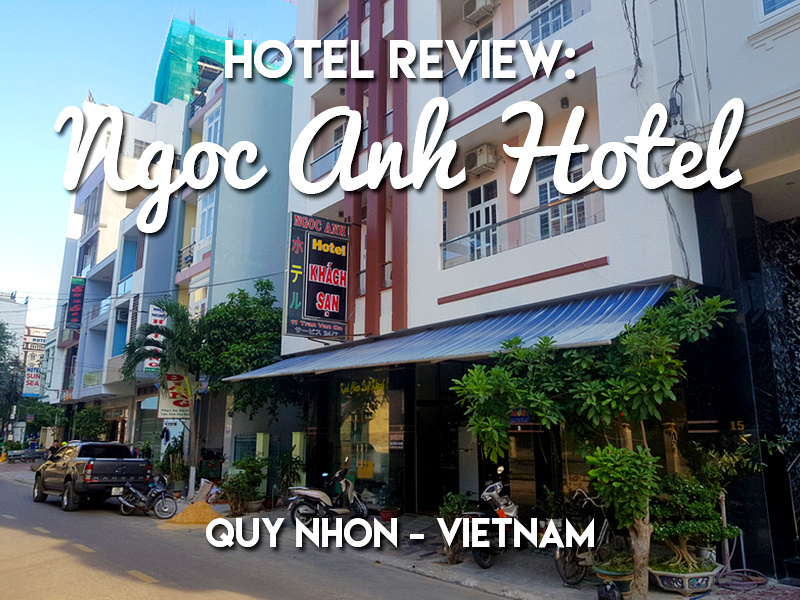 I stayed at the Ngoc Anh Hotel in Quy Nhon (a coastal city in central Vietnam). I booked online and picked the hotel for its location and budget price. I wasn’t familiar with Quy Nhon but I figured that if it’s near the beach then that will do. It turned out to be a great choice in terms of location and hotel quality. 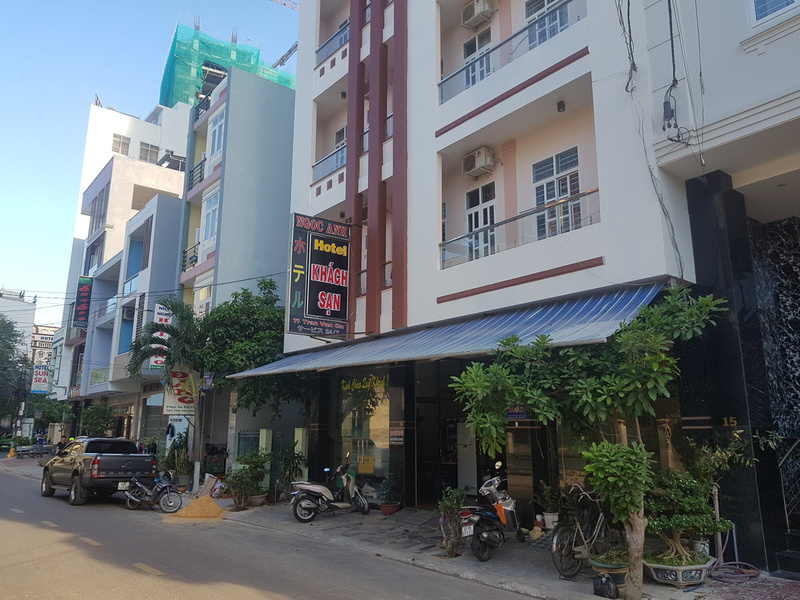 The Ngoc Anh Hotel is a typical Vietnamese budget hotel, and I enjoy staying in these type of hotels in provincial Vietnam. The entrance/foyer also doubles as a bike park and storage space, and I was checked in by a friendly receptionist. I got a double room with a private bathroom. 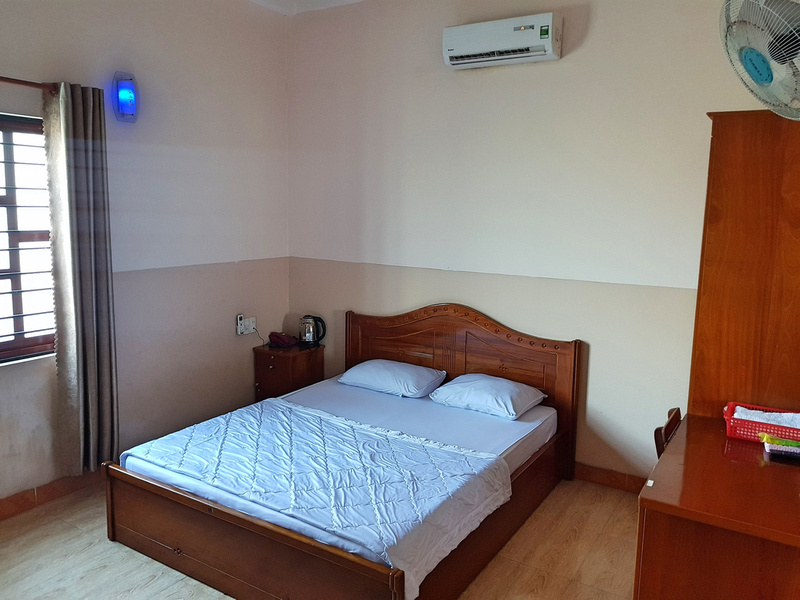 The room had a fan and air conditioning unit, and the fan was sufficient to keep the room cool. The room was spacious with a desk and chair, and the bed was comfortable. The bedside table had a power outlet that was sensibly placed with the light switch nearby. Basically everything worked as it should. The bathroom was clean and orderly, with plenty of space and a window to keep the room fresh. There is free wifi throughout the property, with a wifi router on every floor. The password is also on every wall and I had no problems with the wifi during my stay. There is no breakfast service here so I made do with a banh mi from a street stand. As I mentioned the hotel is near the beach, and the small street is lined with other budget hotels and guesthouses. In the street next to the hotel is the FLC Sea Tower development. This will include a mall and presumably a food court, so that could be another future eating option. This area is starting to boom, with other high developments going up nearby, so it will be interesting to see what the area looks like in a decade. 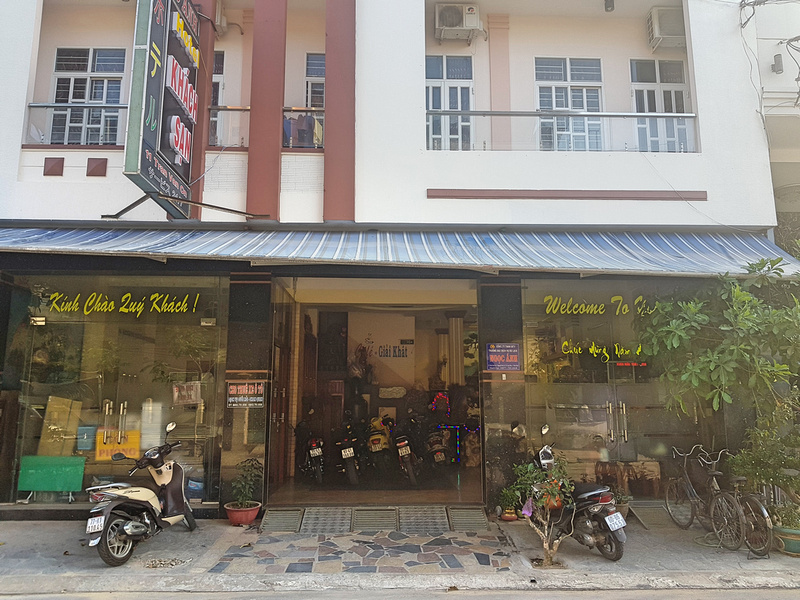 Overall this was a great place to stay in Quy Nhon. It’s a reliable budget hotel a short walk away from the beach. 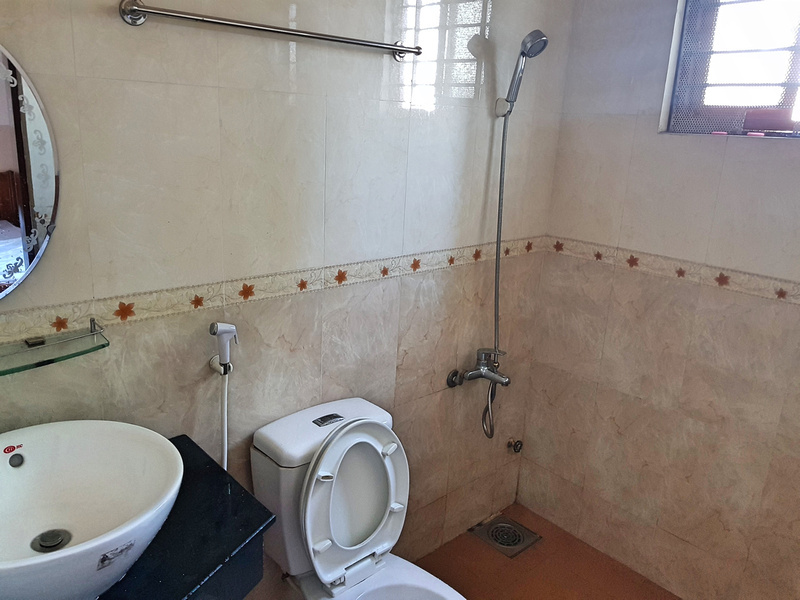 Book the Ngoc Anh Hotel online or search for more hotels in Quy Nhon.